On a recent trip to a local Half Price Books, I came across 4 old issues of Legends Sports Memorabilia; you remember, the magazine that had the beautiful artwork cover, silver or gold bordered card sheet, and a postcard sheet inside. 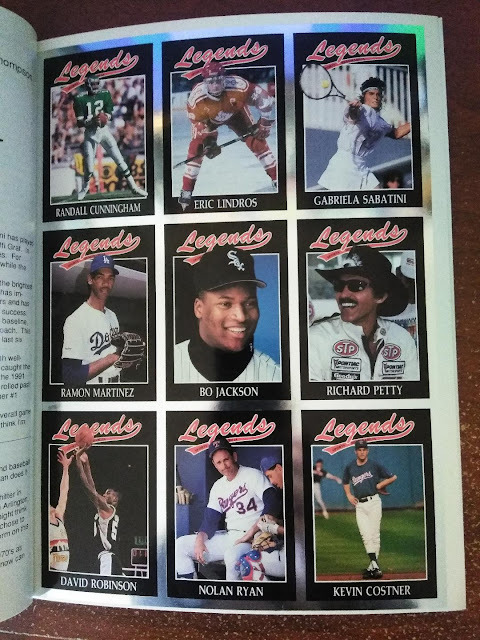 I'm a sucker for a card sheet, and at only a buck each I couldn't pass them up. 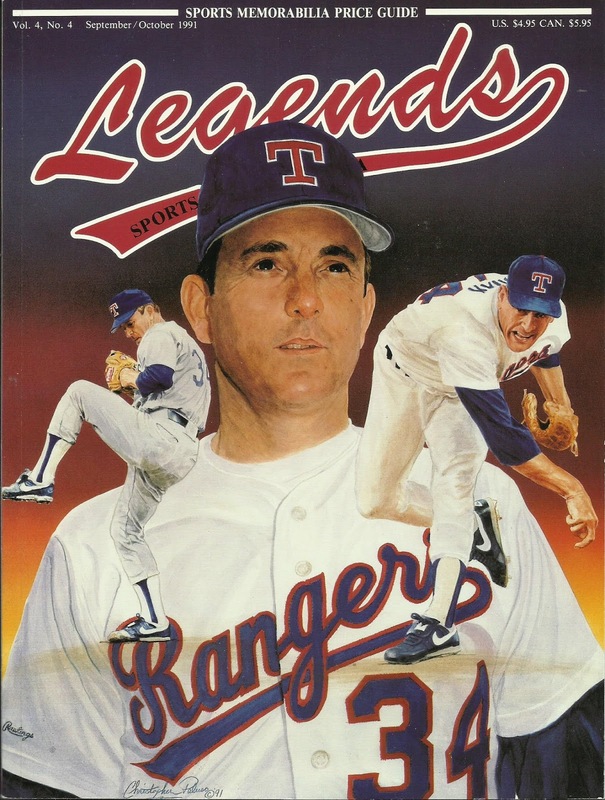 After reading some articles, usually I'll separate card sheets from magazine and then toss the rest, like I do with SI For Kids, but this magazine will stay intact in my Nolan Ryan collection. 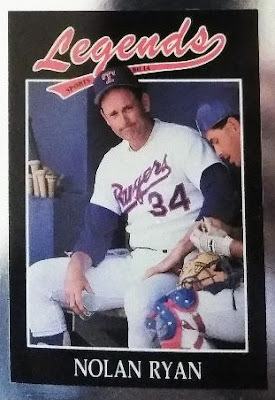 Back in the day these were considered high-end with the thicker stock card and silver foil. 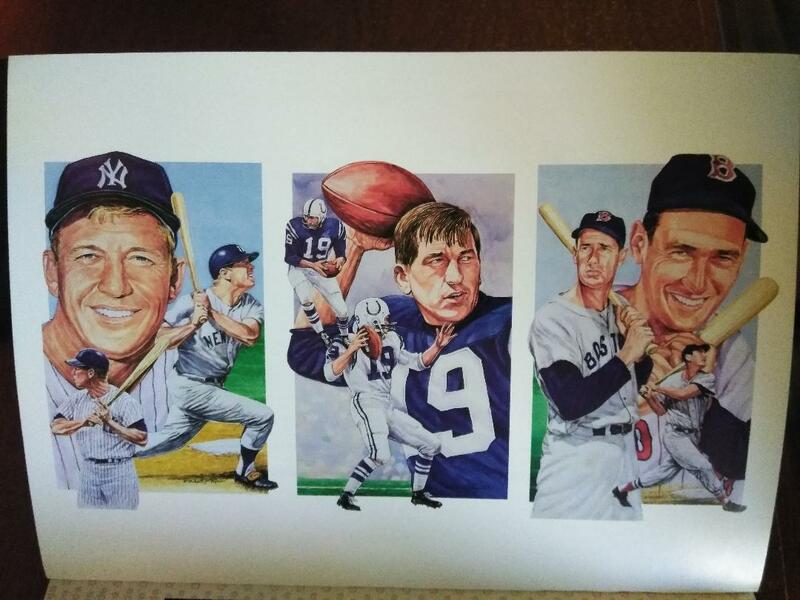 This sheet has a nice selection of various sports superstars. I especially like the Nolan Ryan of course, but the Kevin Costner is pretty sweet too. I'd have to agree that the three subjects selected for this issue of postcards are indeed Legends. 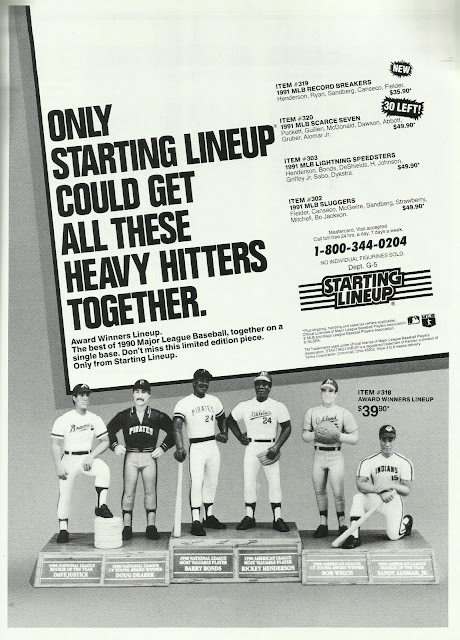 There were a couple of nice articles on Ryan and on David Robinson, but the other interesting thing I found inside was this Starting Lineup ad. I collected SLUs in the early 90's and I don't remember these. I thought it curious that the ad said [only] "30 LEFT!" The other 3 issues I found will be in subsequent posts. Cool find! Never thought of going to Half Price Books for old magazines. Couldn't afford this magazine back in the day... but I've picked up a few here and there over the years. I absolutely love the post cards. 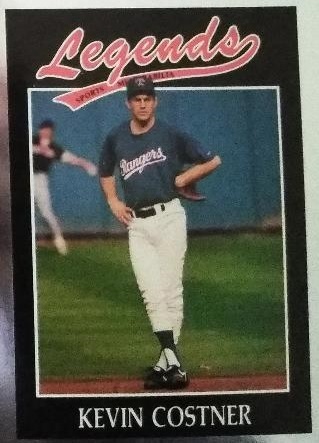 Hey I picked up a 1965 Topps Jim Fergosi at my local flea market with you in mind , lmk if you want it.